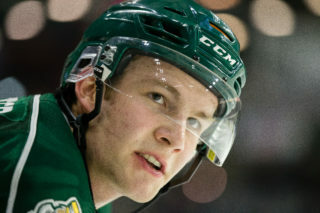 EVERETT – Trailing 2-0 in the third period, the Everett Silvertips scored twice to tie the game before Kohl Bauml’s overtime goal completed a 3-2 comeback win over the Kelowna Rockets Tuesday night at XFINITY Arena. With their first victory of the year over the league-leading Rockets in the last meeting between the clubs, the ‘Tips increase their lead back to four points ahead of the Portland Winterhawks in the race for the U.S. Division title. In addition to capping the comeback with the overtime game-winning goal, his 30th of the season, Bauml also had an assist in the game. Nikita Scherbak netted his 27th goal of the season to start the comeback and assisted on the winner as well. Dawson Leedahl returned to his normal position on the wing after filling in on defense recently and registered the tying goal. Ivan Nikolishin, Lucas Skrumeda and Noah Juulsen each picked up assists in the game and goaltender Carter Hart (14-4-2-1) made numerous clutch saves among his 37 for the night. Everett jumped out to an early lead in shots, outshooting Kelowna 8-2 in the early minutes of the game. Despite the shot advantage for the ‘Tips, it was Kelowna that got on the board first with a powerplay goal from Tyson Baillie on their second shot of the game. The two teams were evenly matched throughout the first period, as the shot total evened out to nine a side after 20 minutes of play. The ‘Tips found themselves back on the penalty kill early in the second period against a dangerous Kelowna powerplay. Leon Draisaitl scored through a screen at 4:19 to make it a 2-0 game in the second. Everett went on their first powerplay of the night late in the frame, but couldn’t find the back of the net and trailed by two heading into the dressing room. 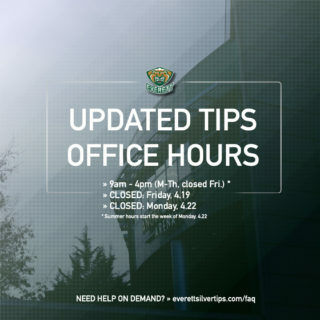 The Silvertips finally got on the board early in the third when Nikita Scherbak carried the puck into the offensive zone and cut into the slot before firing a shot to the top corner to make it a one-goal game. Everett took a penalty shortly after the goal that put the Rockets back on the powerplay, but the ‘Tips killed off the crucial two-minutes to keep the score a 2-1. With momentum back on the Silvertips’ side, Dawson Leedahl redirected a Lucas Skrumeda shot under the crossbar to tie the game midway through the third. 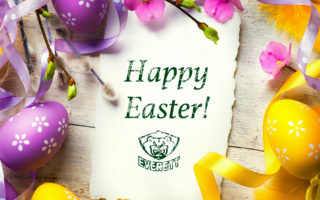 Everett applied pressure and generated multiple scoring chances throughout the frame, while goaltender Carter Hart continued to shut the door at the other end of the ice. Kelowna took a 35-24 shot advantage into an overtime that featured numerous near-misses at both ends. After a rush into the Rockets zone in the final minute of OT, Noah Juulsen and Nikita Scherbak helped get the puck in front to a wide-open Kohl Bauml, who fired a perfectly-placed shot to the top corner to end the game. Final shots were 39-30 for Kelowna, with Jackson Whistle (31-8-4-0) turning away 27 shots in net for the Rockets. The ‘Tips were 0 for 1 on the powerplay and finished 2 for 4 on the penalty kill. 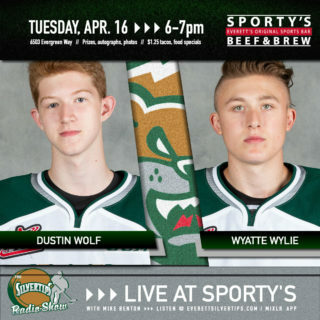 The Silvertips hit the road for a pair of games this weekend before returning home to face Portland next Wednesday. 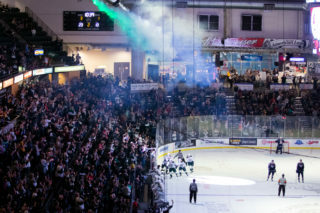 The ‘Tips visit the Tri-City Americans Friday night at 7:05 and the Vancouver Giants Saturday at 7:00 pm. Both games can be heard live on Fox Sports 1380 with pregame coverage starting at 6:30.